After previous seasons of RuPaul’s Drag Race saw Christina Aguilera and Lady Gaga drop by the show’s ninth and tenth season premieres, season 11 will open with “We Can’t Stop” singer Miley Cyrus, according to a trailer Cyrus shared on Twitter. “Are you freaking out? Because I’m freaking out!” Cyrus says in the trailer after strutting down the main stage runway. Cyrus, who came out as pansexual in 2017, is a longtime fan of the show and attended the season seven finale. 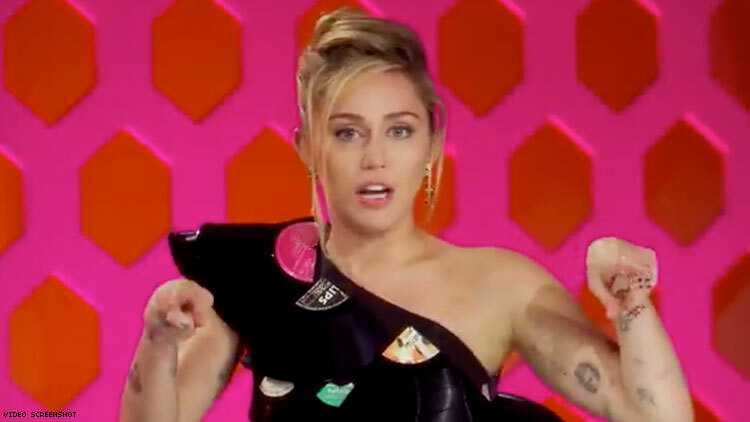 In 2015, she even invited several Drag Race alums Alyssa Edwards, Alexis Mateo, Carmen Carrera and Courtney Act to perform her song “Dooo It!” from her album Miley Cyrus and Her Dead Petz at the MTV Video Music Awards. Late last month, Drag Race revealed the season 11 cast, which includes returning season 10 queen Vanessa “Vanjie” Mateo as well as the show’s first Muslim contestant, in a YouTube livestream hosted by season 10 winner Aquaria and Olympic figure skater Adam Rippon. Aquaria would later go on to criticize that airing.